Shipping was quick, fantastic packaging! Great seller. Super nice seller fast shipping!!!! Very fast shipping and item was in perfect condition, would recommend. Thanks! Such fast shipping and product is beautiful! 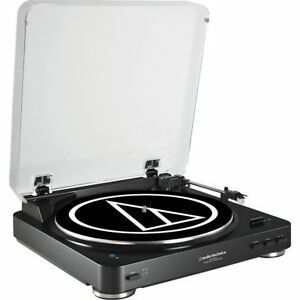 I was in the market for a turntable but didn't have the money to spring for a fancier 2 or $300.00 model. This one, which I ordered from buydig, had predominantly decent reviews with, I think, only one really negative write up. It arrived fairly quickly and survived the USPS. After unpacking everything, it was only a few minutes of assembly and the turntable was ready. I hadn't listened to any LPs for some time. The first one I put on was Rare Earth. I found an old pair of large Kenwood speakers, some time ago and had been enjoying Cd and cassettes through a great sound delivery system. When the needle hit the vinyl on 'What'd I Say', I made an instant mental not to buy vinyl from now on. The warm rich tones are very different from the same song played from CD. And on a turntable that cost under $100.00. Highly recommended. My old dual turntable started going bad fast and after ordering parts and rewiring and still had to dig back into it I decided just to order this after reviews and it sounds 85% as good as my true high end did for 99 bucks and has a smaller footprint. I imagine a higher quality needle would grab 10% more sound but am happy for now. You can't go wrong with it. It put a smile on my face. The automatic control feature is invaluable, in it's ease of operation, and I'm happy to have chosen this unit for my listening pleasure! A decently priced, quality turntable. Sound is good, the automatic arm is nice and convenient.